My house was full of soda when I was a kid. Soda and Little Hugs (remember those?). We had pallets of soda in glass bottles in our garage and back hallway, and boxes and boxes of Little Hugs my dad brought home from the dollar store. We weren’t allowed to gorge on them, however. We had a strict limit of one per day. The same principle applied to our candy drawer and cookies; we always had plenty of junk food in the house but we had to ask permission every time we wanted something and my mother kept our intake moderated pretty well. The soda was, actually, primarily for my mother during my childhood. In my whole life, I don’t think I’ve ever seen her drink anything other than Diet Pepsi. Seriously. I can’t imagine what that’s done to her insides. There was always a glass bottle of Diet Pepsi in the fridge that everyone knew was mom’s and off-limits to the rest of us. As we grew up, we stopped drinking Little Hugs and two-liter soda bottles became a staple in the house and I slowly became an addict. But always diet. Not as a matter of health, clearly, but of flavor. Because diet colas were all we had in my house, it’s what I was (am) used to. To this day, I can’t have a regular Pepsi or Coke. They are just too syrupy and sickly sweet. Dips into the candy drawer also grew more frequent as I moved into my teens. I ate SO much candy. Skittles, Fireballs, Nerds, Spree, Necco Wafers, Reese’s Peanut Butter Cups, Starburst, Skor bars, Pixie Sticks, Sour Patch Kids, Warheads, Pez, Runts, Butterfinger bars, Jelly Belly. Omnomnomnomnom! Seriously. I can’t imagine what that’s done to my insides.Cookies were never really my thing, though. I’ve never cared for store bought cookies. Only fresh out of the oven will do and since my mother rarely baked, that wasn’t an issue. I never cared about these terrible eating habits because I was always a skinny-minnie. Until I wasn’t. The year I turned 30 I packed on the freshman 15 that I had never gained in college. I was pretty unhappy with the way I looked for quite some time, until I figured out (duh!) it was all the sugar. So I cut it out. Completely. Just like that. And within a few months, the weight was gone. I gave up soda long before I gave up I gave up candy. I gave it up in 2004 when I was living in Moscow because I realized I was addicted to caffeine. I would have coffee in the morning and a Diet Pepsi around 2 in the afternoon. If I didn’t have that Diet Pepsi, I would get a terrible headache, almost migraine-level intensity. It was bad. So one day, I just quit. It was a rough few weeks but I was glad to have done it. I’ve given up coffee for a few months here and there too, but never permanently. It’s the smell – that magnificent aroma brings me back over and over. And to be honest, I haven’t fully given up soda or candy. I have a diet cola maybe once every three weeks or so. It’s really refreshing when I’m extra tired or hungover, although an Emergen-C does the trick just as well. But candy and soda and other sweet things like that heavy frosting on fancy cupcakes make my mouth feel disgusting. My tongue feels raw and my teeth feel filmy. It’s gross. So I rarely have those things. So all that is to say, I don’t think I’ve ever even had a Sierra Mist, which wasn’t widely available in the United States until 2003, and that’s just fine by me. 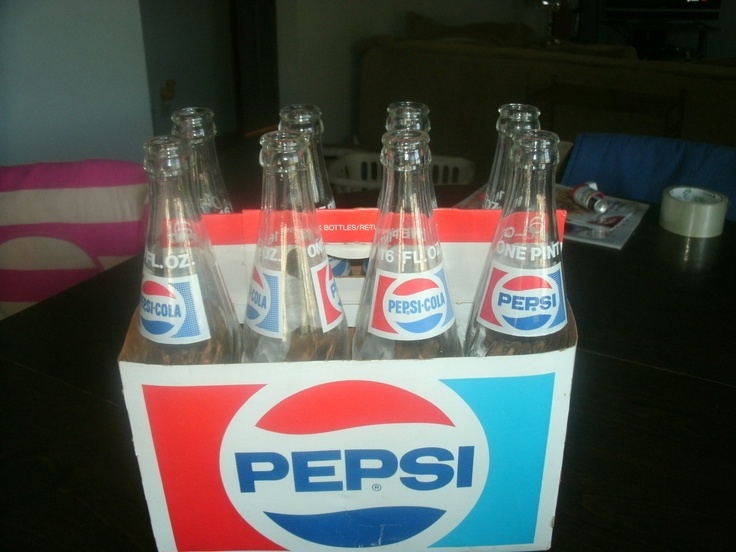 Not the kind of Diet Pepsi bottle that was a staple in our house, but I did have one of these as decoration in my bedroom. How messed up is that? An unhealthy food product as decoration? What else are people writing in the A to Z Blog Challenge? Check out today’s featured blog, sponsored by the letter S: The Scheherazade Chronicles. I simply love this blog. I won’t point to one particular piece because there is so much goodness on it. We pretty much never had soda in the house. Or candy. But I had friends like you and I would marvel at the stores of goodies lurking in their garages. Overall, as an adult I’m a pretty healthy eater, but with my migraines I have to avoid a lot of additives (artificial sweeteners…my brain cringed at the thought!) But I’m a fan of sugar. And I will definitely take your cupcake with frosting, that’s one of my favorite things on the planet! It is hard to resist those cupcakes. They look SO good and the first bite or two usually is, but after that, they just make me sick. But since it’s in front of me, I fell compelled to eat the whole thing. Better to just avoid altogether! Yes, in theory. 😉 I do have to watch myself or I’ll get queasy, but I seriously love a frostingy cupcake. Darn it. Now I want one. That’s a good kind of rebellion, for sure!